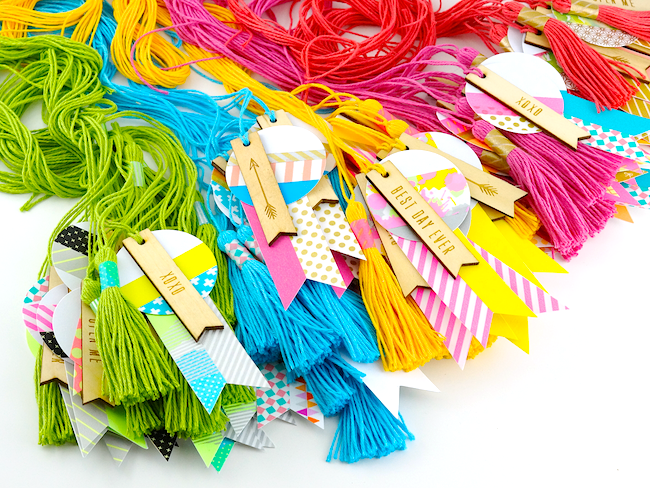 I've been crafting up a storm over the last little while - most things I can't share here - but I can share this fun pile of tassels and tags. 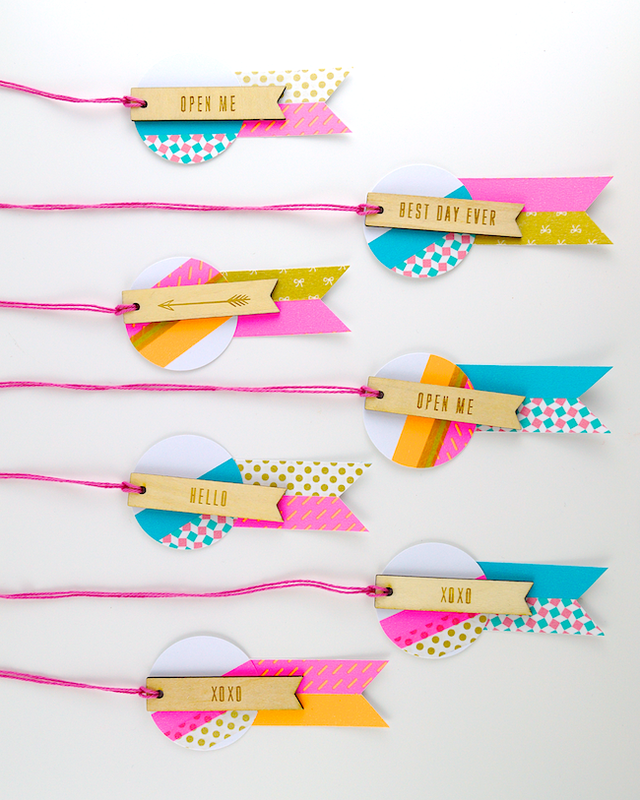 I love the look of layered washi tape pieces - and they're even more fun with wooden message tags. 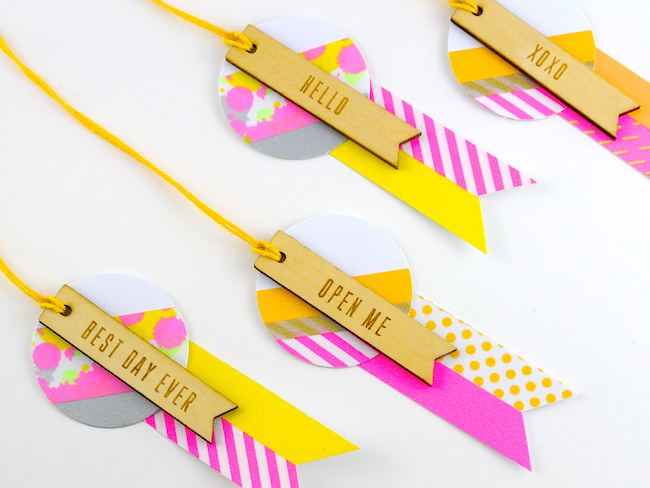 It's a great way to use your favourite tapes and to try out new combos. But do you know what's even better? 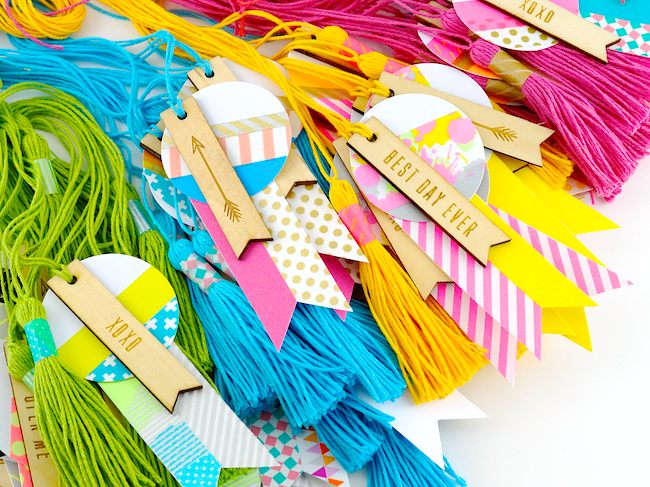 Adding a colourful twine tassel! This is my new favourite way (ahem - lazy way!) 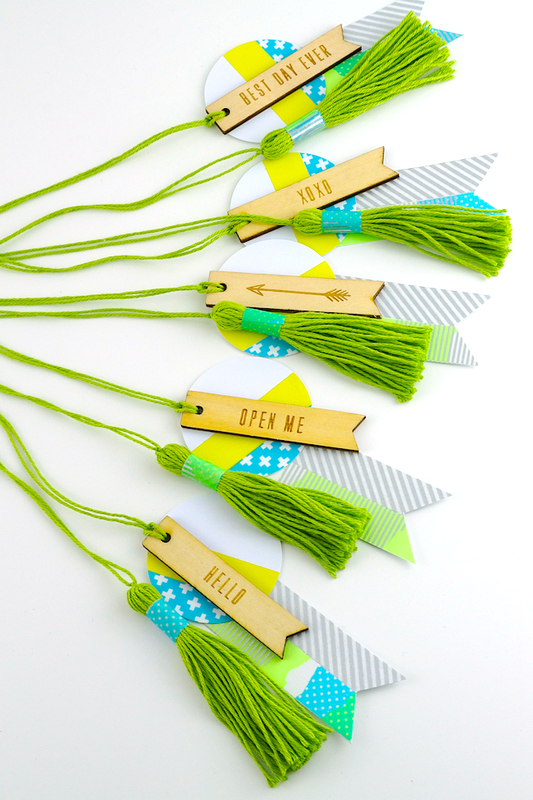 to make twine tassels. 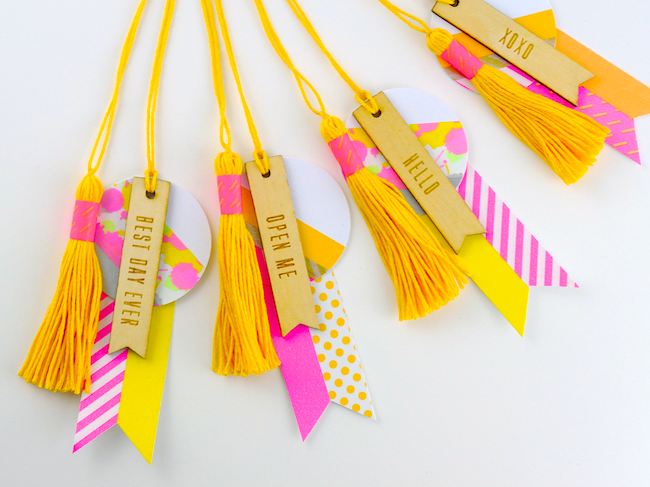 A strip of washi tape works just as well at keeping your tassel together as wrapping twine around - and it's quicker too! Every combination makes me happy - here's a less in-your-face colour combo. 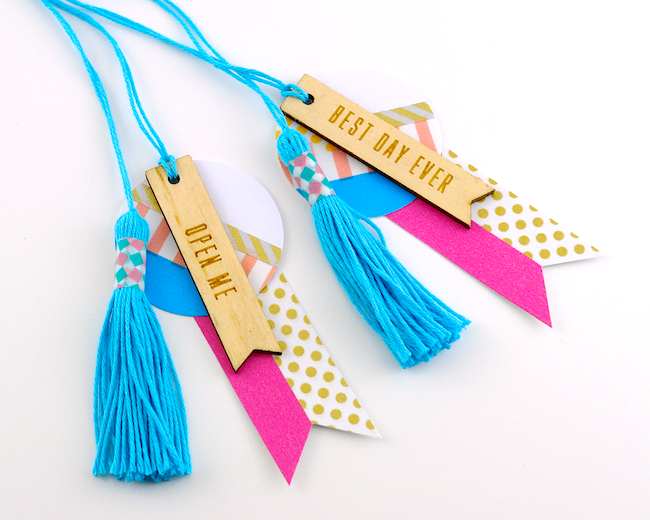 But what's with all the tassel tags? 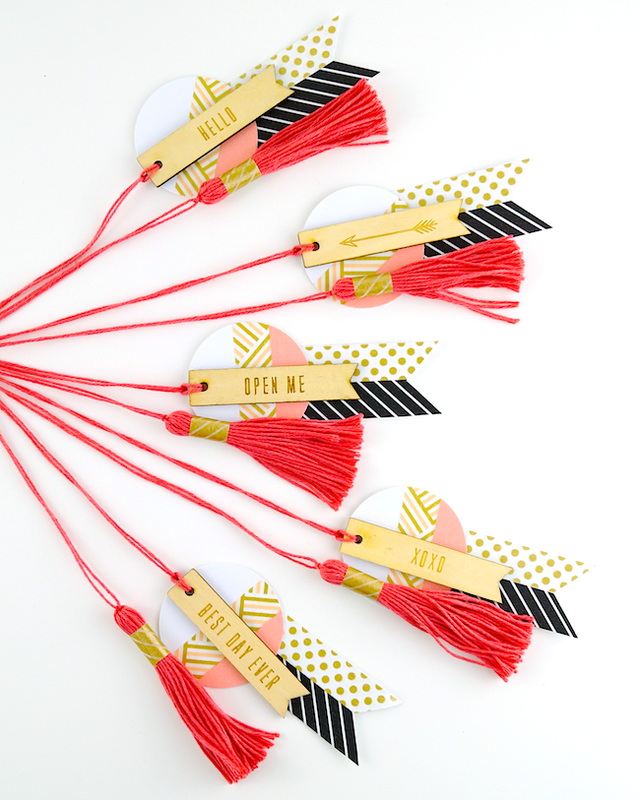 I'm prepping for Omiyage's next round of Surprise Packs - my favourite thing I do all year - and I always love to include a few handcrafted details inside and outside. This might be the last time we do these packs, so I want to make sure that they're extra-extra-special this time. Hope you're inspired to mix and match some new colours, techniques and materials into your gift wrapping! I love these times a hundred! So bright, colorful, and fun. Thanks Jennifer - they were so fun to make!